The picture from inside the production truck is kind of strange. 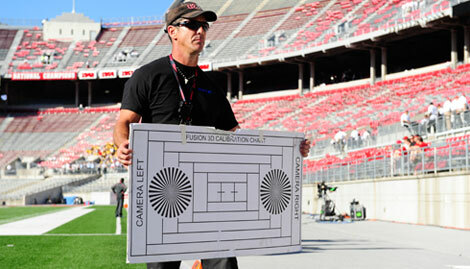 All of the crew and onlookers for the September 12, 2009 game between USC and Ohio State are wearing strange glasses. If they had black suits onm they might be on the set of "Men in Black." But no, they have a far greater mission. 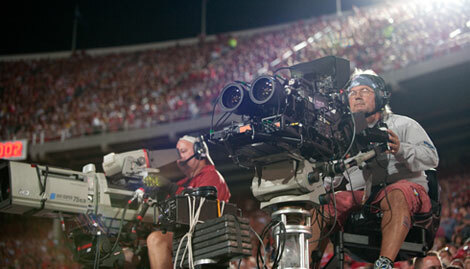 They are producing a telecast of the game in 3D as a test for ESPN 3D. 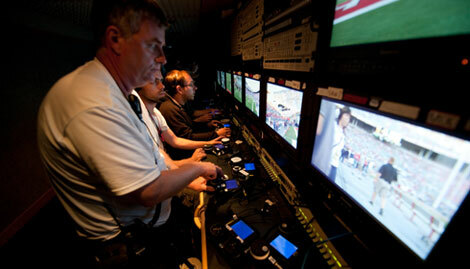 The successful test was part of a run-up to today's announcement that ESPN will launch ESPN 3D, the industry’s first 3D television network, on June 11, 2010 for the first 2010 FIFA World Cup match featuring South Africa vs. Mexico. “This will be a meaningful step to drive adoption of 3D television sets and afford opportunities for our affiliates to create value through new product offerings, and our advertisers, who want fresh sponsorship opportunities,” said Sean Bratches, executive vice president, sales and marketing. ESPN 3D will showcase a minimum of 85 live sporting events during its first year, beginning with the first 2010 FIFA World Cup match on June 11 featuring South Africa vs. Mexico. 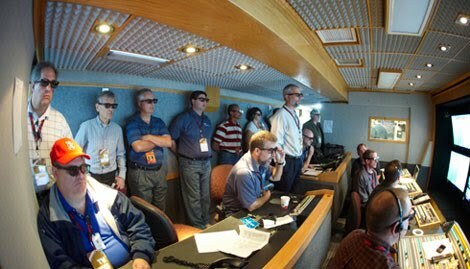 Other events to be produced in 3D include up to 25 2010 FIFA World Cup matches, Summer X Games, college basketball, and college football, which will include the BCS National Championship game in Glendale, Ariz., January 10, 2011. Additional events will be announced at a later date.